In addition to being a certified herbalist and aromatherapy consultant, Gina finds the unrelenting allure of gardening very strong. Despite the common name, the pods are actually only about half a yard long; the subspecies name sesquipedalis (one-and-a-half-foot-long) is a rather accurate approximation of the pods' length. 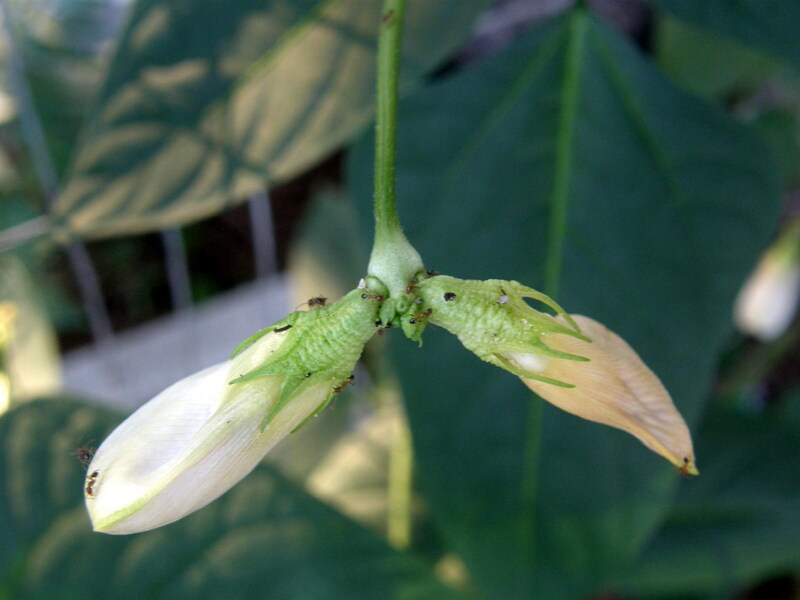 This plant is of a different genus from the common bean. It is a vigorous climbing annual vine. 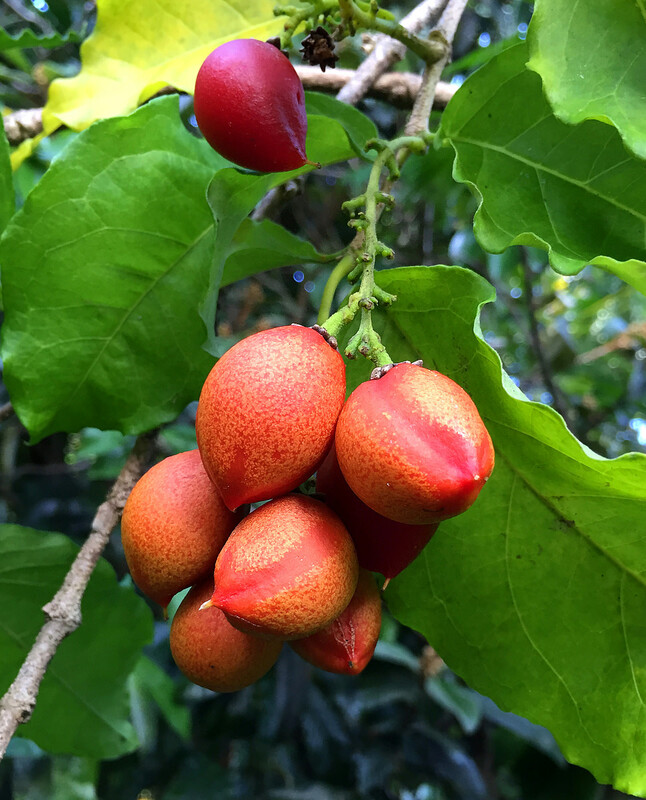 The plant is subtropical/tropical and most widely grown in the warmer parts of South Asia, Southeast Asia, and southern China. Their sweet and mild flavor resembles a mixture of asparagus, mushrooms, and beans, or black-eyed peas. You don’t really need very big containers. A 3 gallon container can grow 2 plants. Make sure that the depth of the container is 8-12 inches. You can use a clay pot or a plastic tub. In the springtime, wait until the soil has warmed to a warm 65 degrees before you plant the asparagus beans. They need full sun to do well. 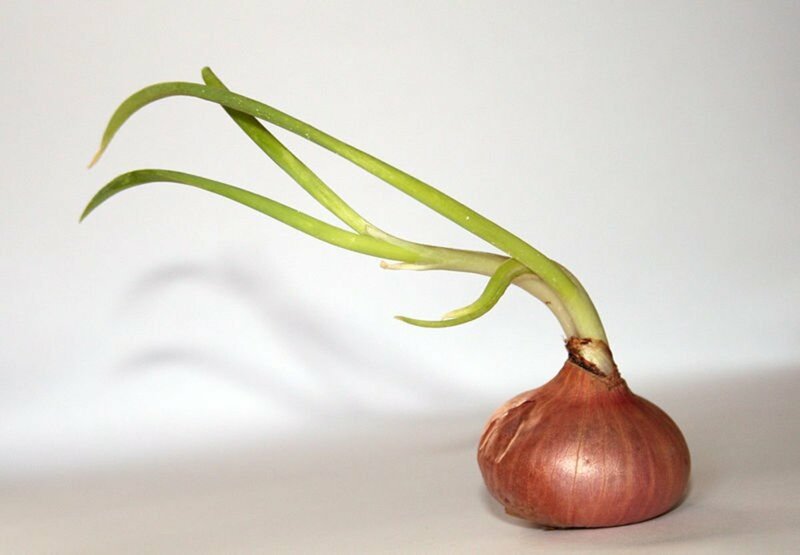 They need a long, warm period to grow and start setting flowers, so don't be surprised if they don't take off until the temperature heats up and stays there. They will stop growing in cold weather. 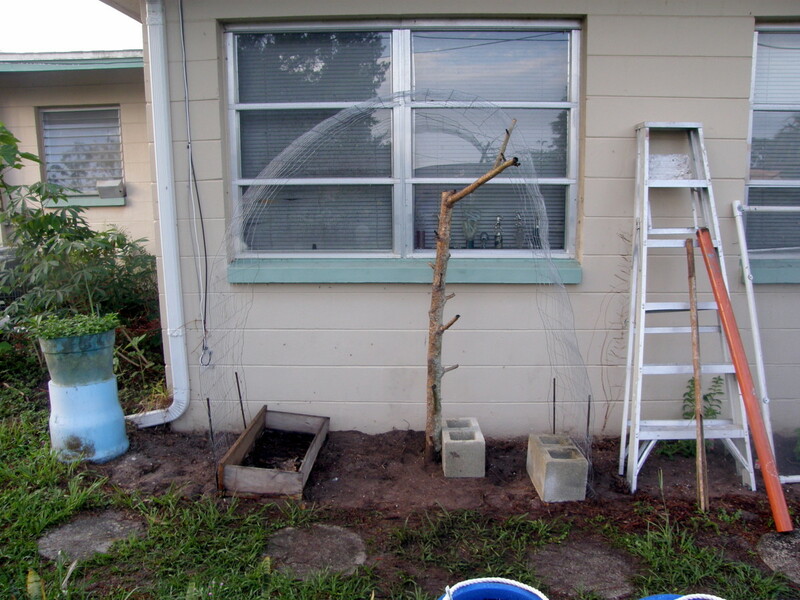 Sow seeds and set up poles, stakes, or some form of trellis for the climbing vines. Provided with sturdy support, the vines grow quite long, and will double back upon reaching the top. 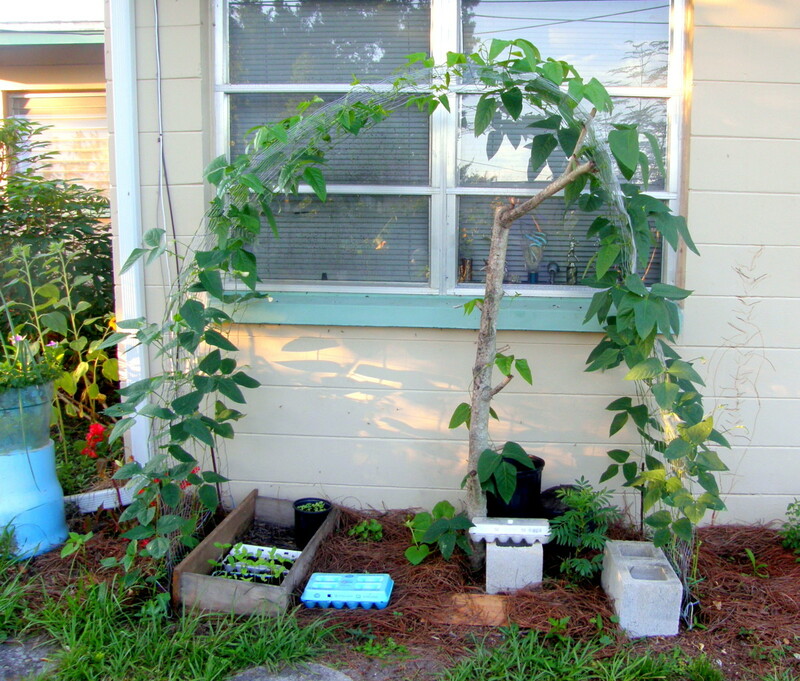 I built a trellis shortly after starting the seedlings in the egg cartons. 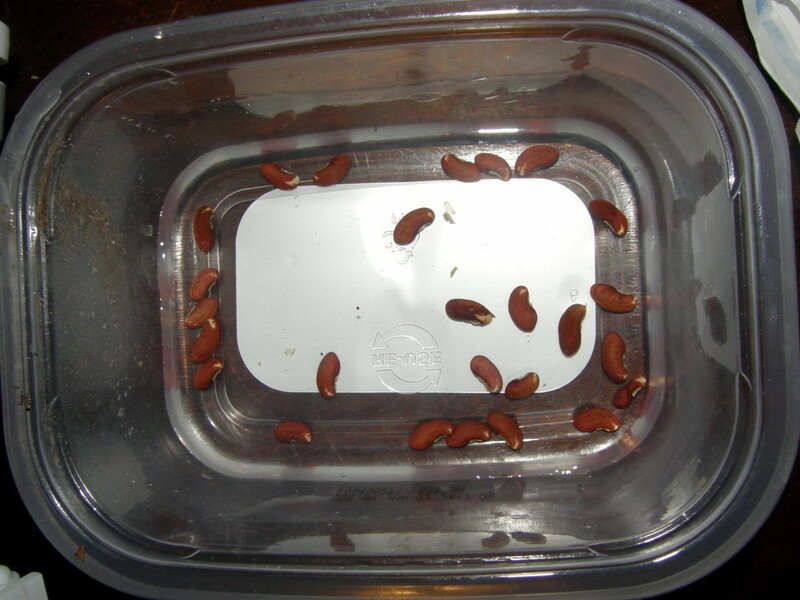 They grow up to 18 inches long, and pods are ready for harvest in 75 days after seedlings sprout. I fertilized using moringa liquid fertilizer. The mild tasting, sweet string-less pods are excellent in vegetable stir-fry combined with pork or shrimp. Mulching increases yields. I used pine needles. 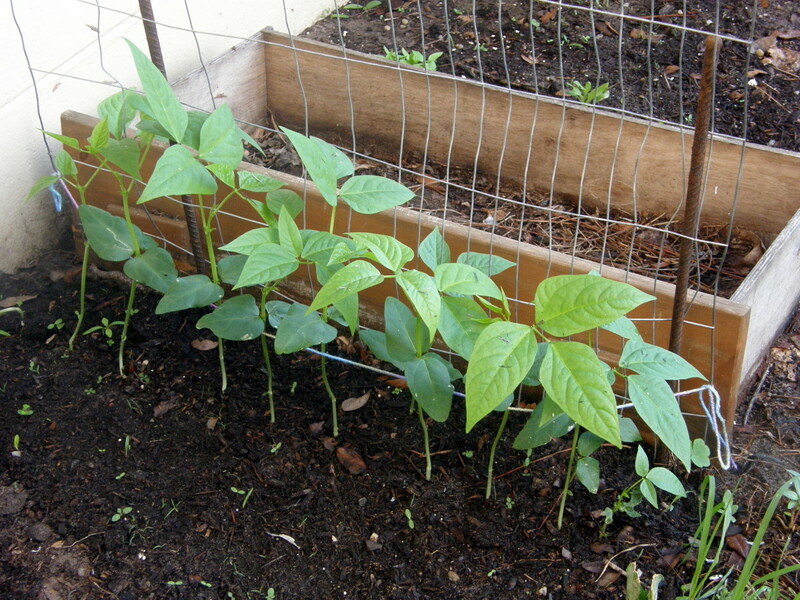 Beans share space well with celery, radishes, and staked tomatoes. When they are about 15 inches in length is the ideal time for harvesting. At harvest time, the slender beans should be about the thickness of a pencil. 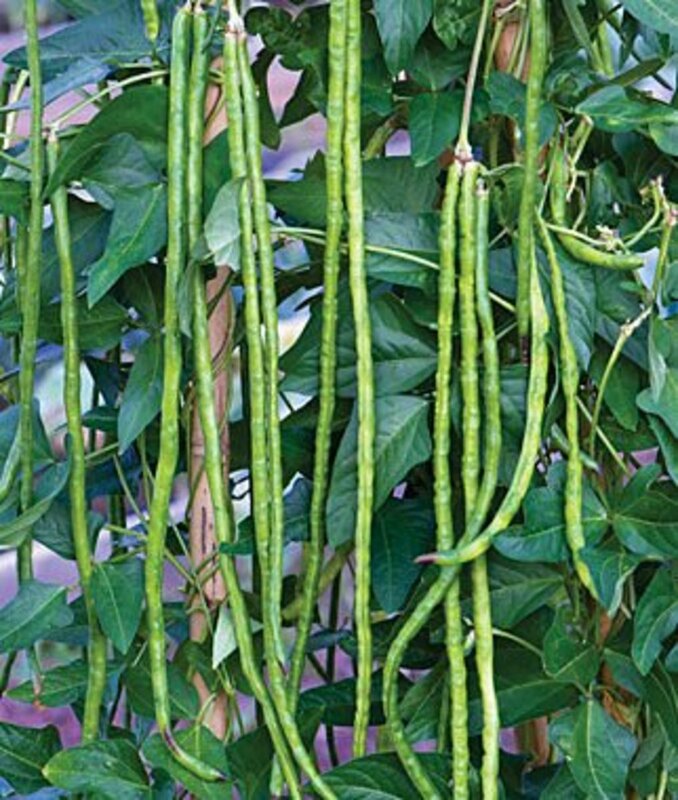 If you wish to save your seeds for the following year, let a few of the ripened pods to stay on the vine until they are dry. Cutting off the tips of the vines forces them to send off side shoots and create a greater yield. The vines usually quit producing new blossoms when you stop harvesting, so wait to do this late in the summer after your crop has been harvested. Water at the base of the vines to avoid plant problems like fungal diseases. Avoid overcrowding by planting with enough space in between each vine. 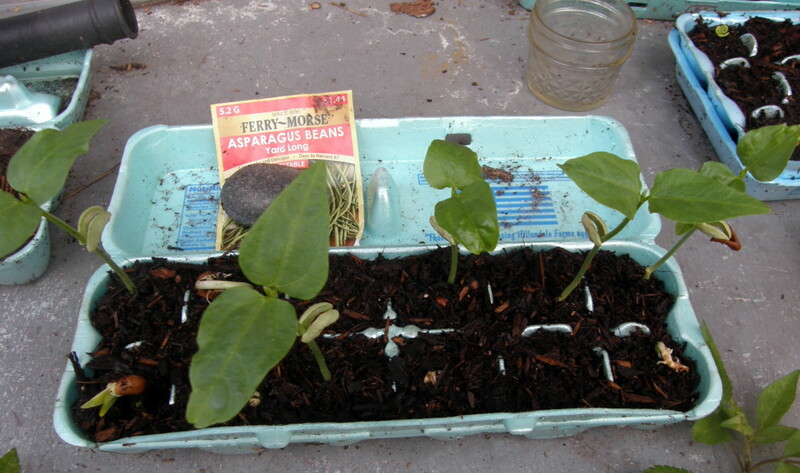 Plant your beans every 15-20 days throughout the season to get uninterrupted supply of healthy and fresh long beans. 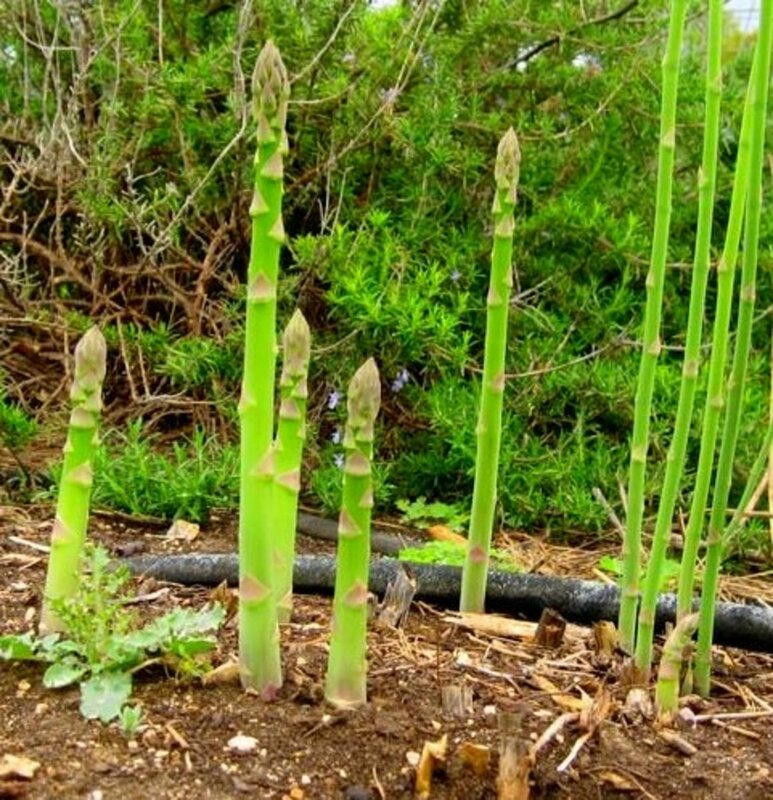 Have you grown asparagus beans in your vegetable garden? Yes, but I don't see what the hype is about. No, but I will after reading this. 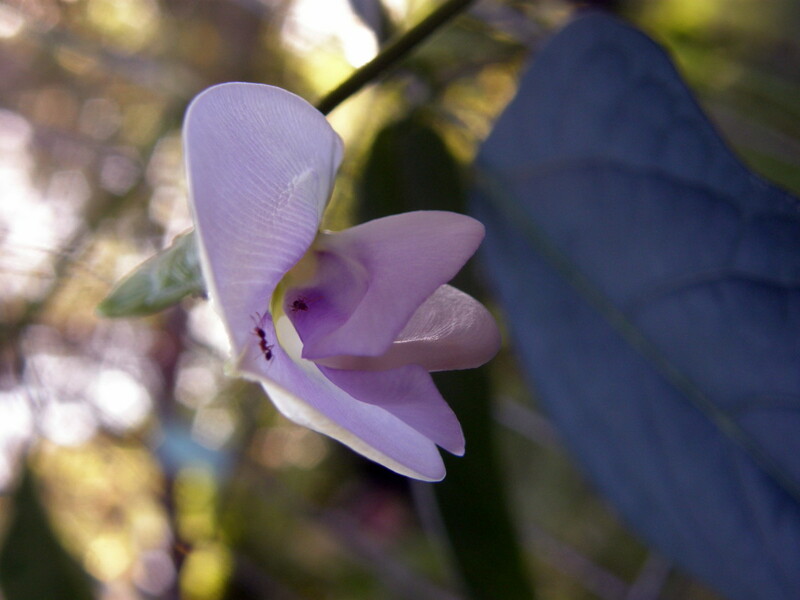 The blossoms are pinkish-lavender in color and larger than most other bean flowers. 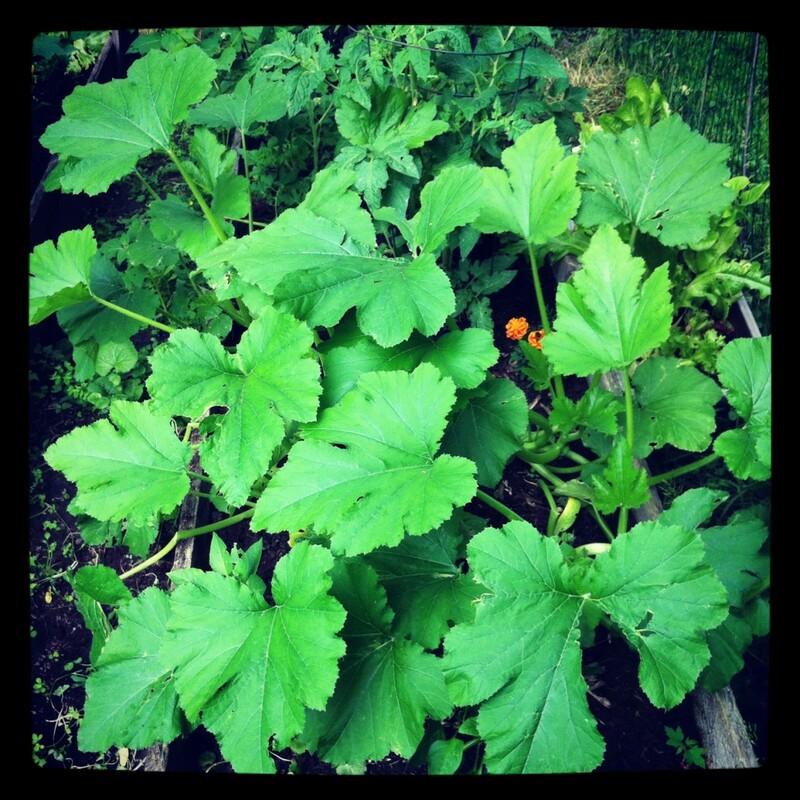 The blooms make a pretty addition to the vegetable garden! The pods grow very rapidly. 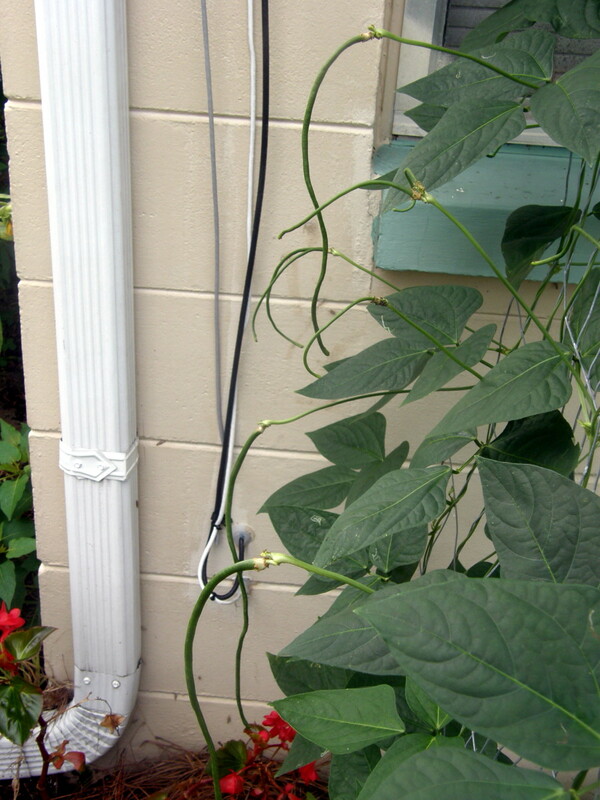 One day, there will be a small dark green pod string, and a few days later it will have grown up to 18 inches long! Be sure to check your beans every day during growing season. 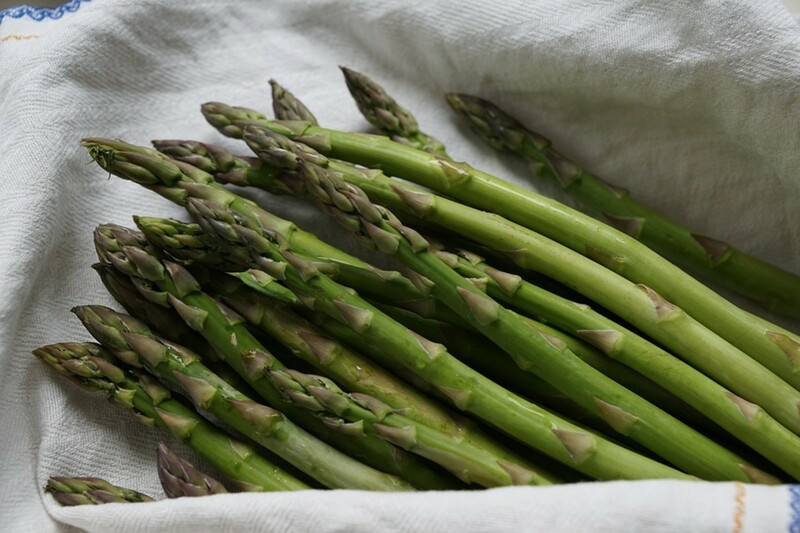 They have a mild asparagus-like flavor and are delicious sautéed or steamed. They can be cooked as you would green beans. They can also be blanched and frozen. 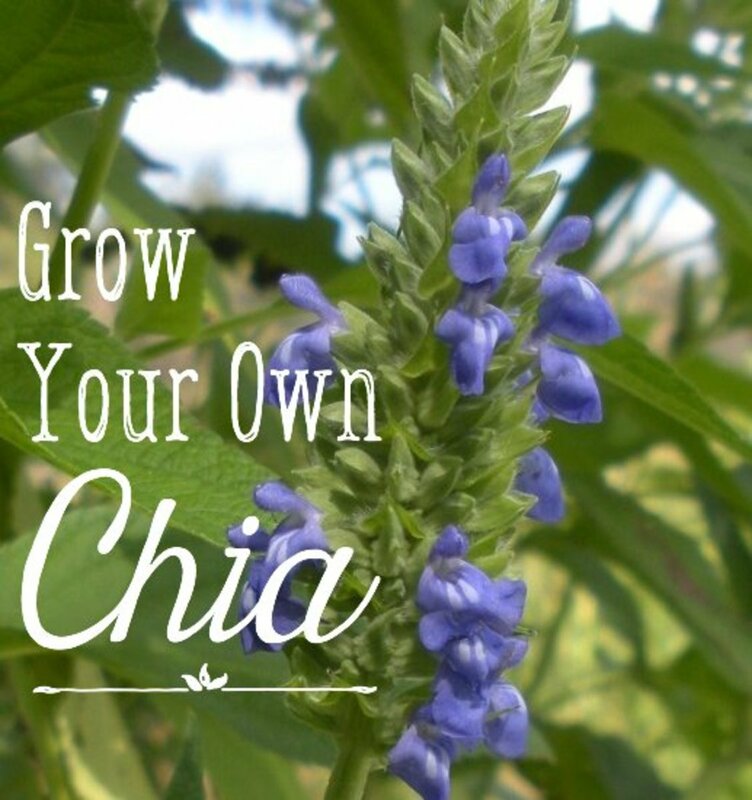 Their delightful taste and easy growing habits may make them your family's favorite. They are delicious with salmon or mackerel. I hope you give these a try. You will find that they are easy to grow, and very delicious. You will be replacing regular green beans with asparagus beans, whenever these are available. Great information and exactly what I was looking for! I’ve recently started gardening and sowing from seed in order to economically feed my growing family. I’ll definitely be checking out what else you’ve got to say about all things gardening! Thanks this is a great article! I saw these things for the first time in a Asian market and was totally fascinated. When I came across a packet of seeds at the local Lowe’s you can imagine my excitement! I bought some from Lowes. If you have a Lowes or other similar store in your area, you could check there. You can also order some from Amazon. I hope that helps. Hi ArmedCandy. Thanks for stopping by. The details are in the videos, Parts 1 and 2. I think they should do fine in Las Vegas. I am in 9B so they should do fine where you are. I do not plant every two weeks as they produce constantly for nearly two months or more. I plant in the fall as well as the Spring. 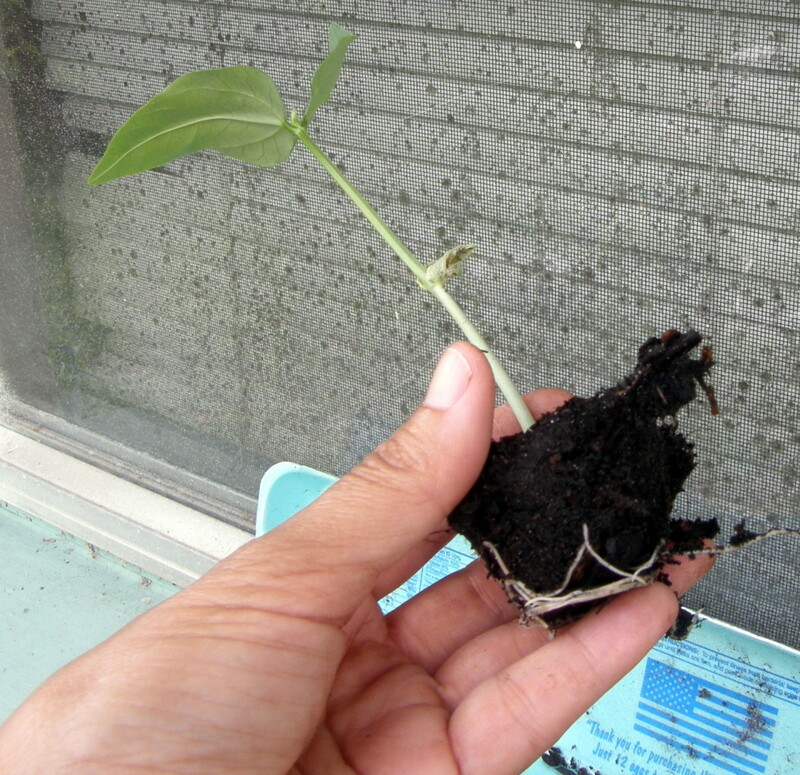 I start in egg cartons and transplant the seedlings when they are about 6 inches high and giving off their first climber. Check out the videos in the article. I put lots of details there. Excellent article. I signed up just to let you know I found it very informative and great to read. Question: will asparagus bean do well in Las Vegas? I think I’m zone 9. Also you replant/germinate every two weeks? Can you go into detail. Do you plant next to the trellis, start a new trellis. How does that work? Great job I am inspired to get started! Thanks for your feedback, and thanks for visiting. Please be aware that this hub is about asparagus beans, not asparagus. 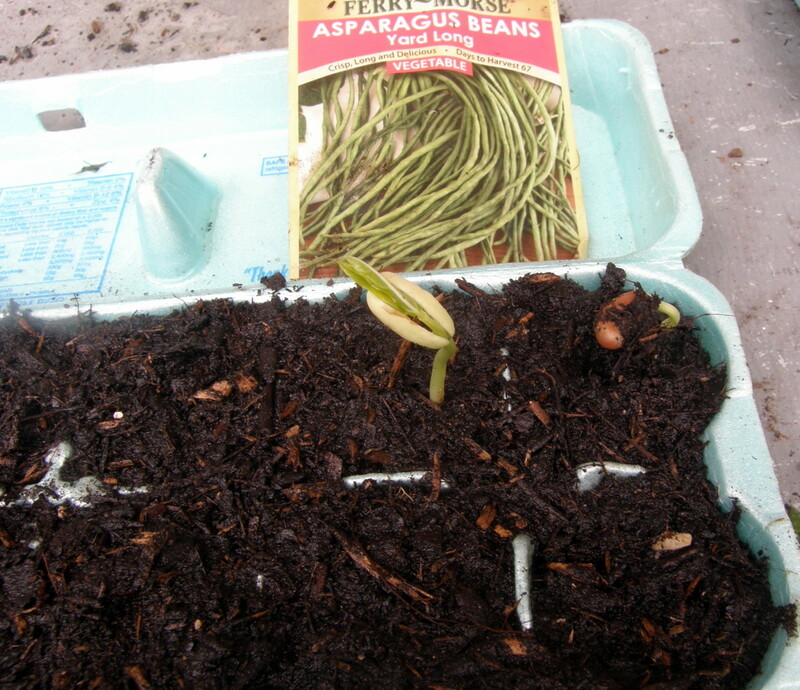 I have written another hub about growing asparagus spears, though. Good article. I love to cook with asparagus. Hi S Maree. Thanks for stopping by, and sharing your thoughts. I appreciate that. The asparagus flavor is not very pronounced. My youngest son loves asparagus, but he does not feel that these tastes much like asparagus. He also loves green beans, but when he tried these, he preferred asparagus beans. I am glad you find these hubs helpful. I love experimenting in the garden and sharing my results. I love how well you describe the entire process! Is the flavor more like green beans or asparagus? I'm not fond enough of beans to grow them, but Sis might if the asparagus flavor isn't very pronounced. 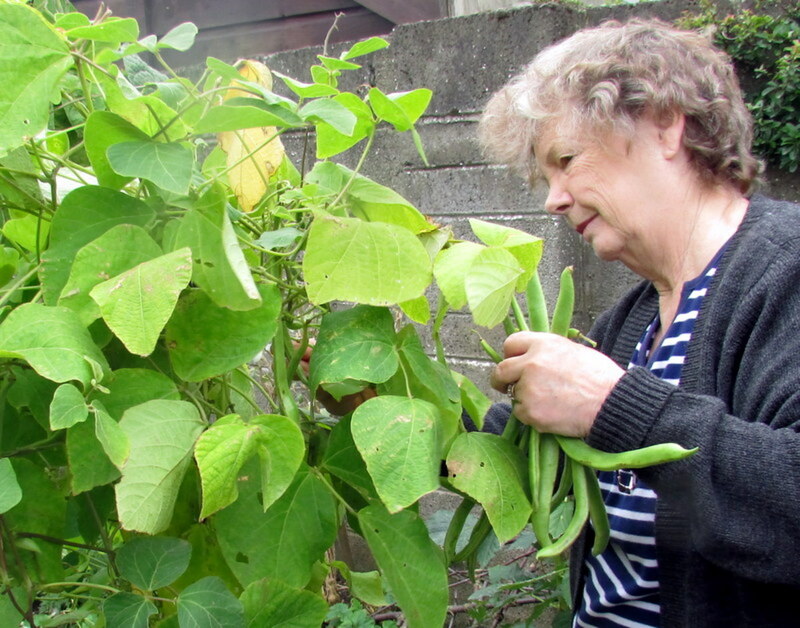 She's a green bean fanatic & raises hers in pots. Even if she's not interested in asparagus beans, I will share your article because it has lots of good grow-in-the-pot ideas! 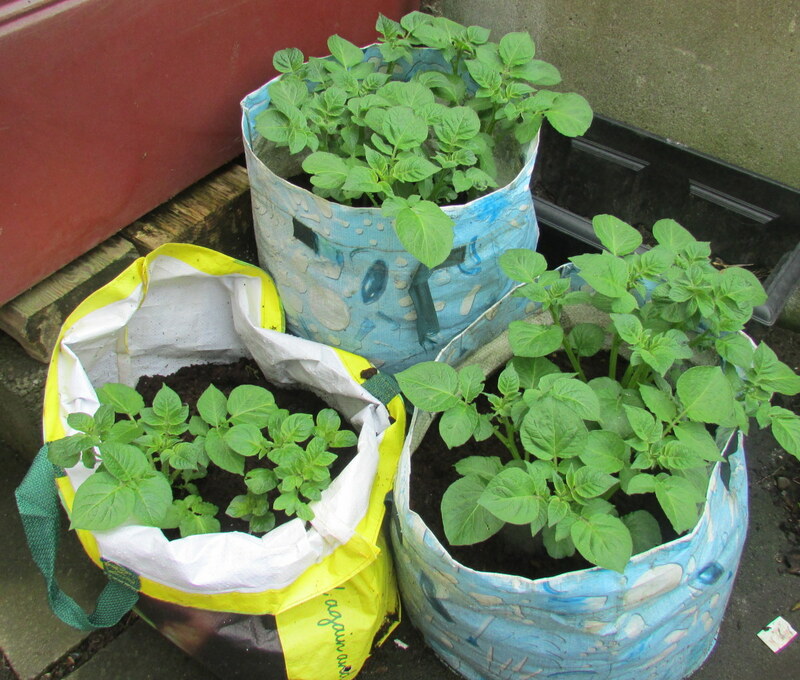 Looking forward to next year when I try growing tomatoes in bags of soil! Blessings to you and yours, and may your crops be bountiful!